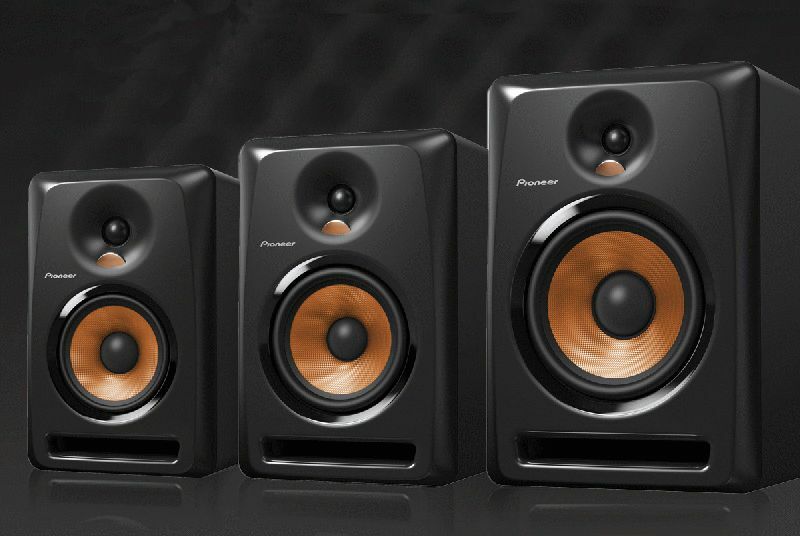 Pioneer Professional Audio today unveils its new line of active reference studio monitors for great audio feedback while practicing, producing, and creating music. The studio monitors are offered in three models BULIT5, BULIT6 and BULIT8 and feature excellent sound quality, improved bass response and reliability, three types of inputs, and built-in equalization, useful for the musician who wants to achieve the highest accuracy in sound reproduction. · Groove Technology: To improve airflow through the port of the enclosure, Pioneer engineered the port hole with grooves to help direct the sound waves smoothly. The technique decreases standing waves from the mouth of the port, resulting in smooth bass and mid-bass output, with more impact. · Convex Diffuser: Matching the bass output of the speakers, the soft dome tweeters are set in the center of a convex diffuser optimizing output and dispersing the sound energy in both left and right directions for wider imaging. For a cool cosmetic look, the diffuser also illuminates in white when the speakers are powered on. · Class AB bi-amp: Driving the speakers is a highly efficient Class AB amplifier in a bi-amp configuration to power the tweeters and woofers separately. · EQ Controls: The speakers also enable users to adjust high-pass level output via the built-in equalizer from the back of the speaker. The equalizer adjusts the high frequency range in one decibel increments (-2dB to +1dB), tailoring the audio output to the user’s listening preference. All three models are offered in black with a copper gold diffuser and cone. The new BULIT5, BULIT6, and BULIT8 studio monitors will be available in late September in the United States and Canada with suggested retail prices of $149, $199, and $249, respectively. Find out more about the BULIT active reference studio monitors here.